We ate at Cracker Barrel recently and I found the cutest tea party set made of felt - perfect for toddlers! 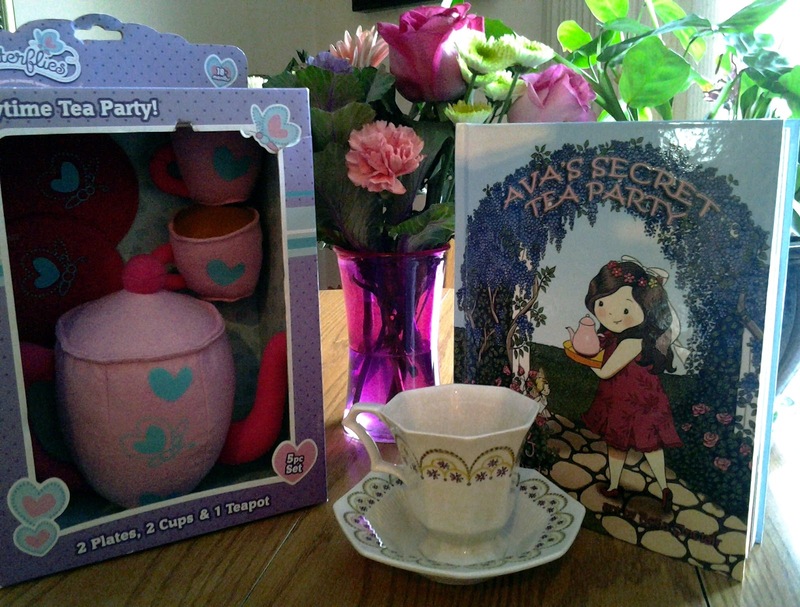 For baby showers, I often buy tea party sets to give as gifts along with a copy of Ava's Secret Tea Party. Have fun at your shower! Yet another cute idea from Pinterest! To make this, you need 2 Onesies, 1 Hat, 2 Washcloths, 1 Spoon, & 1 Ice Cream Bowl. Don't you love this presentation? To buy pre-made, click HERE. I also saw a couple of pictures on the web where a hole had been carved out of the fruit and a pacifier inserted in the baby's mouth. That looks really cute, too! Stack 4 Onesies, 4 Diapers, 8 White Wash Cloths, 4 red "cherry" socks in clear cups with dome lids. I've played this at baby showers for many years. Pass around a skein of yard with scissors. Each guest cuts a piece of yarn long enough to go around the mom's tummy. After everyone cuts their string, measure the mom's tummy and give a prize to the person whose length of yarn comes closest. 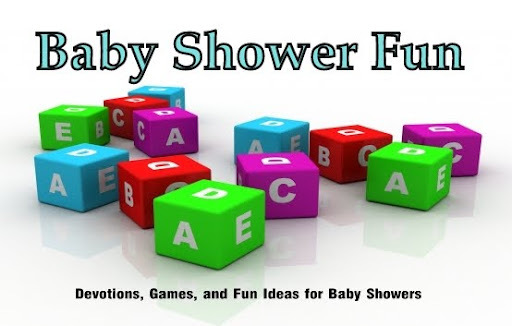 Looking for cute products for a baby shower or for your own baby? Avon has a new line called "Tiny Tillia." You can order online and get your products any time you wish. 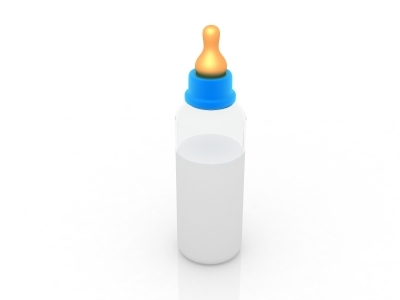 You can even create a baby gift registry for yourself or someone you know. Please be sure to shop with me (Donna Shepherd) as your representative. I thought this idea from a shower I attended a couple weeks ago was great! How much are diapers these days? Pretty expensive, right? And those newborns go through them like tissues. I received an invitation to a baby shower that said, "If you'd like to be in the drawing for a $25 gift card to Olive Garden, bring diapers!" A lot of people buy a package of diapers as a part of their gift anyway. It turned out that about 15 people brought diapers and were eligible for the drawing. So, if I'm figuring this correctly, that was $135 worth of diapers (I checked Target.com and diapers are $8.99/pkg.) for a $25 gift certificate that the grandma bought. Smart idea, huh? With a marker, number at least six newborn size diapers. Melt separately six different mini candy bars. Scoop one type of melted candy bar into each of the six diapers. Depending on the candy bar, it looks quite believable as a poopy diaper. Give the guests pieces of paper numbered 1-6. Using their sense of sight and smell, guests guess what kind of candy bar fills each diaper. Give a limited amount of time for game. The guest with the most correct guesses wins. The fun of the game is taking pictures and laughing as guests stick their noses into what appears to be dirty diapers. At the last shower, someone even caught me taking a bite of the chocolate after the game was over. What a picture! See why I was eating the props? Have fun! This is just the sweetest little way to decorate the table - and it's edible, too! At a baby shower recently, I bought a journal and everyone who came wrote a piece of advice for the new mom. We had some serious and some funny advice written in the book. Fun! Talk to your baby like an adult. Talking to your child in this manner makes them smarter. Babies are not born to be infants forever. Children have eternal spirits that need nurturing. Mothers plant seeds that can grow love and accomplishment or rebellion and pain. Yes, children make their own ultimate choices, but mothers have enormous power. 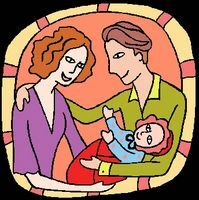 A parents' biggest responsiblity is to prepare their child to live without them someday. Don't rush anxious for the next. Enjoy what they do today as your God given treasure. You'll blink and they are off to college. Read to your baby from the womb on. I was in college while pregnant both times and I read my textbooks aloud. Both kids were speaking in full sentences by the time they were one! If you could offer just one suggestion, what would it be? Please leave your advice AND your website or blog URL. And it affects our heart. At times, I felt my heart would burst, as it seemed to expand with the love I held within for my firstborn. I couldn’t imagine my heart having the capacity to love another child as much. That is, until I had another. My heart grew – again. 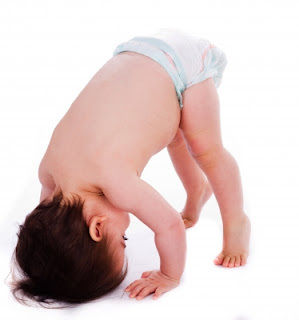 If you can’t think straight in the newborn stage, wait until the toddler years! Then from about the age of five to twelve, the racket in the house is deafening and not conducive to rational thought. And the teen years? With many parents, it's back to obsession and worry. Motherhood is a privilege and a gift from God. Immeasurable joy fills my days as I do my best to be an example of godly love. Yes, New Mother Syndrome may be acute and chronic, but I thank God every day for the blessings associated with this affliction! THIS BLOG claims no credit for any images posted on this site unless otherwise noted. Simple theme. Theme images by Goldmund. Powered by Blogger.